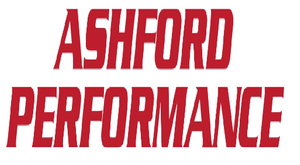 Here at Ashford Performance, our aim is to provide high-quality repairs and fantastic customer service at competitive prices. We cover a wide range of repairs and services such as diagnostics, brake and exhaust repairs, electrical faults and MOT’s, however, we also specialise in Performance Vehicles. Because of our mechanics expertise and wealth of experience, we take on work that other garages don’t. The workshop is home to all the latest equipment and 4 ramps, enabling our team to deliver a swift and reliable service to every customer. We offer a collection and delivery service (charges may apply) to customers within a 5-mile radius, however, we are situated near some fantastic transport links such as Ashford Train Station, local taxi companies and Stagecoach bus services. If you wish to wait around, we have a comfortable waiting room where you can enjoy WIFI and refreshments.